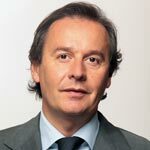 Roberto Louvin (Aosta, Italy, 1960) is a lawyer, Associate Professor of Comparative Public Law at Department of Political and Social Sciences of University of Calabria and President of International University College of Turin. He was engaged in political and administrative activities as President of Aosta Valley Region (2002-2003), as alderman for education and culture (1993- 1998) and as President of Aosta Valley Regional Council (1998-2002). At international level, he was alternate member of Regional Committe of European Union (1993-1998) and chaired the Commission on “Education, communication et affaires culturelles” of Parliamentary Assembly of the Francophonie (2000-2003). He is honored with the award of “Chevalier des Palmes Académiques de la République Française” and of “Chevalier de l’Ordre de la Pléiade” (‘Ordre de la Francophonie et du dialogue des cultures’ of the international Parlamentery Frenchspeaking Assembly). His scientific interest is mainly focused on national and cultural minorities, regional and federal systems and theory of commons.